16-year-old Japanese snowboarder Yuto Totsuka left the halfpipe on a medical sled after a disastrous crash on the lip of the halfpipe. 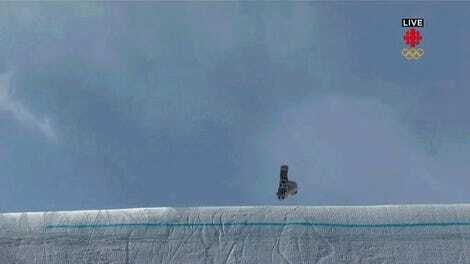 The halfpipe is, quietly, one of the Winter Games’ most dangerous events. Snowboarders can reach massive heights on their initial tricks, and that’s before counting the 22 feet of elevation between the lip of the pipe and the floor—to which Totsuka tumbled after appearing to land his pelvis right on the lip of the pipe. We’ll stay tuned for word on Totsuka’s condition and update as appropriate.